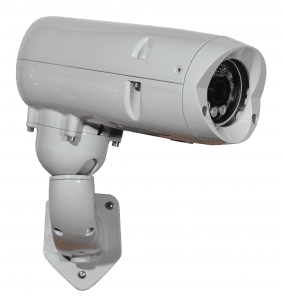 A rugged and flexible fixed camera housing product was required for tough outdoor environments by our customer to fit into their current product range. It was required to be supplied as a housing only or fully assembled with a wide range of camera modules and equipment. Standard options to include, wiper, window washer, sun shield and additional illumination. Cable management and connection was to be within an aesthetic enclosure and mounting so no unsightly wires or junction boxes were visible. This simplified installation and improved resistance against malicious attack. 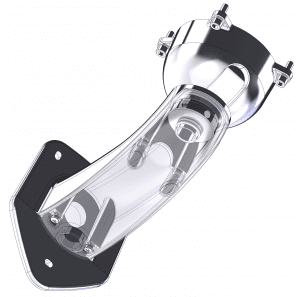 Mounting had to be universal for pendant, pedestal or wall fixing. An ingenious and easy to use camera mount was designed for the full range of adjustment needed for all scenarios. Adjustment and fixing is achieved with just one fastening. Concealing the window wiper was achieved by mounting it behind a diecast bezel so that this feature was integrated into the design maintaining a clean and uncluttered external appearance. All components were design for volume production as pressure diecast aluminium alloy components finished to a high standard for marine corrosion protection. The housing had to seal against dirt and moisture to IP67 and impact to IK10. Sealing used a design we developed, tried and tested on previous products for this customer. For prototyping, this product needed the enclosure components produced in a material as close as possible to the diecast material. The diecasting supplier and toolmaker were able to rapidly produce all components machined from solid aluminium alloy. 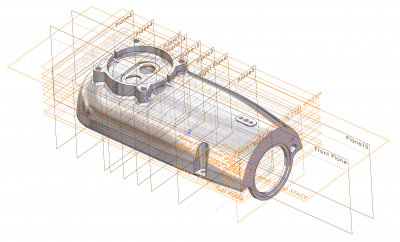 This was very beneficial in testing the CAD data for production and tooling issues before commissioning production tooling.